Following the dice and card games with my family, I returned home from the holidays with pockets a bit heavier carrying almost ten dollars in quarters. 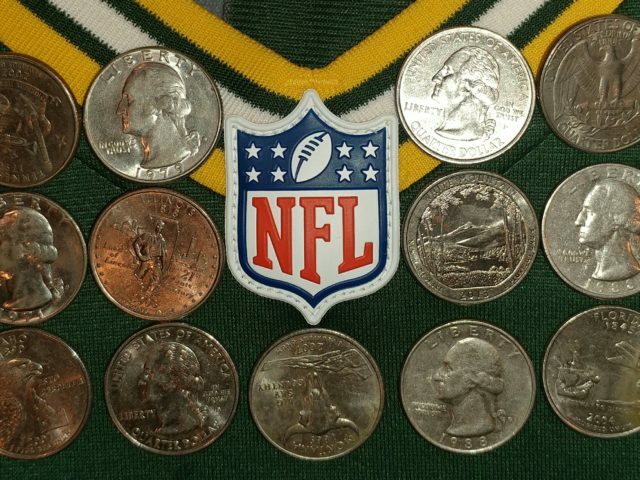 Because the Green Bay Packers live rent-free in my head, it was the quarters in my pocket that called to mind the coin toss in overtime versus the Jets this past Sunday. According to an article written by Ryan Wood and Jim Owzarski for Packers News, Green Bay’s offensive captain, David Bakhtiari was set to call tails before overtime began but changed his mind when he learned that the NFL logo represented heads. With nothing but everything to lose, the Green Bay Packers, in their final road game of 2018, got a W on the road. The Packers will play with house money this weekend versus Detroit. Fans attending the game will experience temperatures in the low thirties and may witness a record or two being broken. If NFL gods exist everyone that is healthy will compete and stay healthy. Fingers and toes crossed for snow at Lambeau; I am also looking forward to a trip down Ariens Hill pregame and visiting with Packers Family of whom I only see on game-day in Green Bay. This entry was posted in Packers 2018-2019 Season, Sarah Szejn, Uncategorized and tagged Aaron Rodgers, Ariens Hill, coin toss, Davante Adams, David Bakhtiari, Green Bay Packers, heads, Holidays, Jets, Jim Owzarski, Lambeau, Lions, NFL, overtime, Packers News, rent-free, ryan wood, tails. Bookmark the permalink.